Richard's Motel has been family owned and operated since the 1940's. 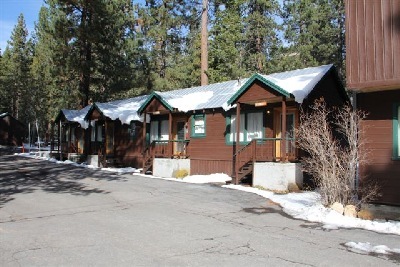 Located across from iconic Donner Lake, Richard's Motel is an ideal spot for your mountain getaway. Nestled at the foot of Donner Summit, our rustic cabins are a short drive away from many renowned ski resorts including: Boreal, Sugar Bowl, Northstar at Tahoe, Alpine Meadows and Squaw Valley. If you look beyond the area ski resorts, Historic downtown Truckee is a 10 minute drive away. Truckee's unique boutiques and abundant history offer a stunning backdrop for the various dining opportunities available. From horseback riding, biking, and water sports to skiing/snowboarding, snowmobiling, and snowshoeing Truckee offers opportunities for everyone of every fitness level. Donner Lake boasts a state park and two public beaches, including one with a playground, tennis courts and volley ball net. Across the street from Richard's Motel you can rent paddle boats, kayaks, paddle boards and more! Fishing is available year round, and the many public piers along the lake side offer panoramic views of the Sierra Nevada as well as a perfect place to picnic with your loved ones. With competitive rates, easy access to the area's renowned natural resources and ski resorts, and a cozy cabin experience, Richard's Motel is a vintage lodge with small town charm. We look forward to seeing you soon! !